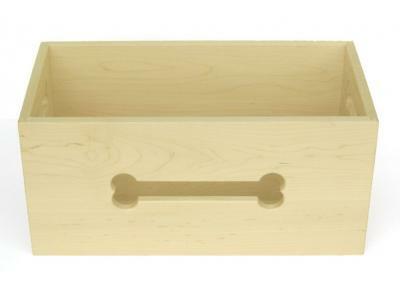 This high quality wooden bone-cut dog toy box is simply charming. Made from real maple, this makes a wonderful gift for the dog owner with everything. Store your pet's favorite toys in this durable wooden dog toy box. Perfect for pets that like to keep their favorite dog toys close at hand.